Video files are abundant depicting Jonathan Papelbon trying to explain why, with a 3-2 lead in the 9th, he failed to save the final game of the season for the Boston Red Sox. In that event, the compulsory press conference never happens, and the Sox are still alive. In the end, it’s baseball. Things happen. Even to the very best. Mariano Rivera is a first ballot Hall of Fame pitcher, and this is before he even retires! Sometimes, reporters have a definite idea regarding the way in which the world should be viewed. So, to fit that worldview, they report what they think you should see and hear. And, if attempting a complete revision of a response is required? So be it. Thank heaven for live video! 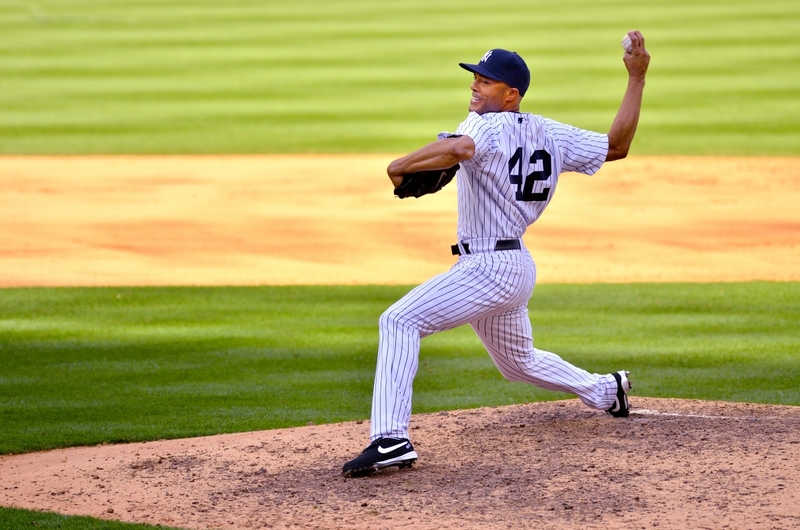 And thank God for assertive athletes like Mariano Rivera! Spelling used in a given statement often conveys as much to the reader as the intended sentiment expressed. Putting an ‘i’ before ‘e’ in certain contexts might be the result of an uncommon lapse. Still, it’s most easily taken to mean that the writer of the word may not have scored perfectly on the SAT. 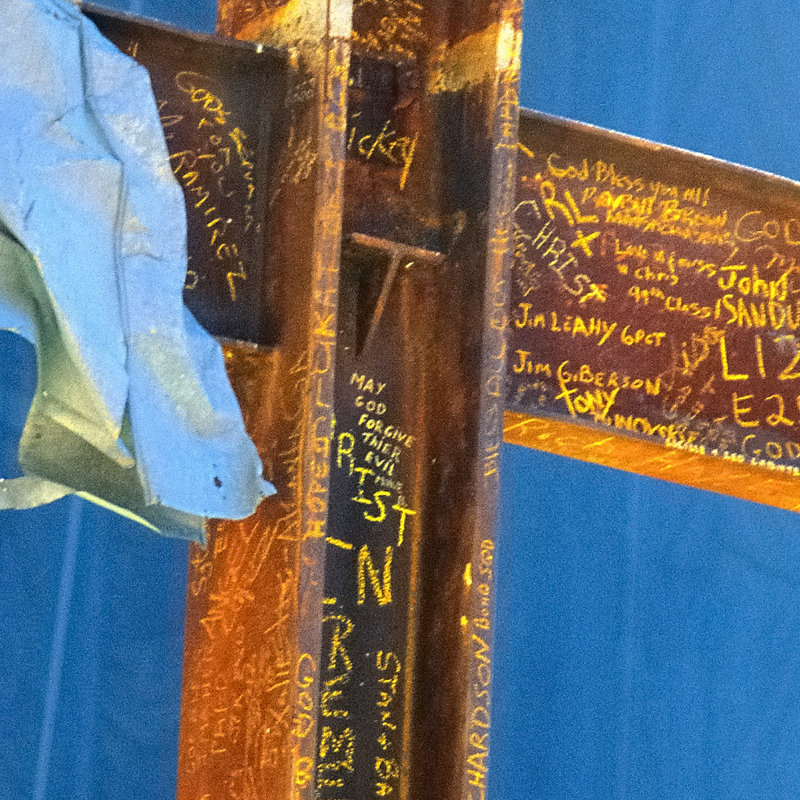 So it is especially poignant that this very mistake found itself inscribed near the epicenter of the now famous, and sometimes controversial, Cross at Ground Zero. Very likely using a welder’s soapstone, with no “spell-check” available, an unknown soul, with but one single opportunity to set a mark in history, recognized that a dreadful iniquity had been inflicted, and still expressed an unfathomable sentiment of forgiveness — all the while encountering the terrible ramifications of this horrible crime. Now it’s one thing for those in academia, or in seminary, to render fancy and philosophically erudite responses to horrifically unholy acts of indiscriminate murder. This is especially true as it pertains to preserving cherished idealism at the expense of precious people. Surely, the individual grasping the crude implement of inscription held no degrees in moral ethics or systematic theology. Nor is it likely they occupied any position of ecclesiastical authority. Yet somehow, a man assuredly covered in dirty overalls, protected by a plastic hardhat, yet surrounded by a thick, toxic darkness, found it within himself to articulate a most incredibly shining example of hope beyond despair; an everlasting victory over seething hatred. With wounds so fresh, and pain not nearly assuaged, almost concurrently present with utter corruption came a proclamation of magnificent faith. of a willful plan to visit mortal damage on thousands of men, women and children deliberately targeted in their attack. Today, added to the initial totals, remain countless more bereaved, and those bereft of family and friends whose grief can never be diminished by favored and faddish terms like “closure”. whereby a human being who fully acknowledges terrible and tremendous hurt, can somehow find healing and empowerment beyond being a helpless and permanent victim. Within the early stages of an unconscionable offense, it was a presumably average person who gave witness to an extraordinary and enduring truth of undefeatable good. Within the smoke and stench of death and decay, etched at the core of a religious symbol stood a statement that God will prevail, and thus, so will the best in all of us. Treachery will not have the last word, but the Lord will. inscriptions will ever remain. They stand indelibly imprinted in memory of those whose lives were taken. Further still, they continue on in a silent yet prophetic witness to our brightest hopes and inclinations yearning for resolution within injustice, seeking reconciliation beyond tragedy. On first glance, this hope would seem to be extended to our enemies, perchance to be instantly and understandably rejected on that basis. In fact, these words are the highest, all-inclusive, and ultimately historical prayer for healing and wholeness, uttered most insightfully in yearning for the restoration and salvation of everyone, believer and unbeliever, friend and foe, alike. You are currently browsing the BillKeane Perceptions blog archives for September, 2011.